Shemekia Copeland On World Cafe : World Cafe The blues star performs live versions of songs from her latest album, Outskirts Of Love. Shemekia Copeland performs at World Cafe Live in Philadelphia. 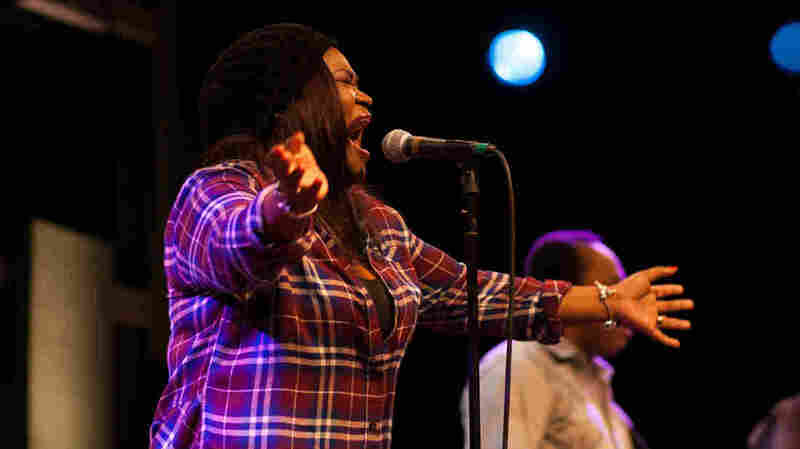 Shemekia Copeland, daughter of the late bluesman Johnny Clyde Copeland, got her start when she first took the stage with him at age 8; she released her first album 10 years later. In this session, she explains that she's always had a powerful voice, but had to learn the subtleties of singing. In this episode, Copeland performs at WXPN's Free At Noon concert, where she sings songs from her latest album, Outskirts Of Love.